This "Historically Speaking" column appeared in the Exeter News-Letter on Friday, August 10, 2007. 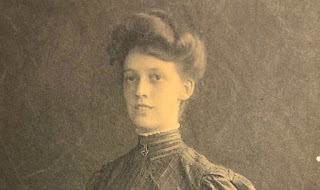 In the summer of 1889 excitement was high in expectation of another rare presidential visit. 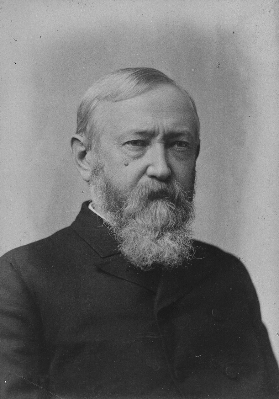 Benjamin Harrison, on his way to Bar Harbor, Maine, was due to stop briefly at the Exeter depot on Lincoln Street. Harrison is one of those easily forgotten one-term presidents, the bologna in the Grover Cleveland sandwich. During an era when machine politics could put modern lobbyists to shame, he managed to defeat the incumbent Cleveland by losing the popular vote but winning the Electoral College. Cleveland would fight back in the next election, much to the dismay of Exeter’s Republicans. He was a protectionist and believed in high tariffs, supporting the McKinley Tariff Act that ultimately led to the disastrous economic depression of the 1890’s. But he also saw six new states admitted to the Union – Montana, Idaho, Washington, Wyoming and the Dakotas. Like two squabbling twins, North and South Dakota each wanted to be granted statehood before the other. Harrison decided the issue by covering the bills, shuffling them, and then signing them quickly without ever knowing which came first. The whole event was over quickly. 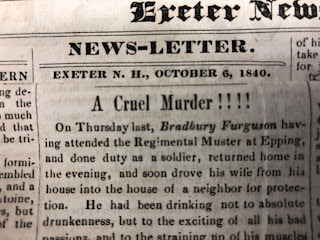 The News-Letter, in its typically careful way summed up the visit, “The train remained in Exeter seven minutes.” “After a stop of about fifteen minutes the train proceeded on its way,” responded the Gazette. Whether he was well dressed or in “drab,” stayed for seven minutes or fifteen, the President’s visit excited the town to a degree not felt since James K. Polk stopped by thirty years earlier. A few other sitting Presidents would visit – Theodore Roosevelt, Harry Truman, and Gerald Ford, but they were here for campaign purposes and Roosevelt’s train didn’t even stop – it just slowed down at the depot. Harrison may not have stepped off the train, but at least he stopped. NOTE: In addition to President Harrison, five other sitting U.S. Presidents have visited Exeter, New Hampshire. They are as follows: George Washington (November 4, 1789), James Polk (July 2, 1847), Theodore Roosevelt (August 26, 1902), Harry Truman (October 17, 1952) and Gerald Ford (September 11, 1975).